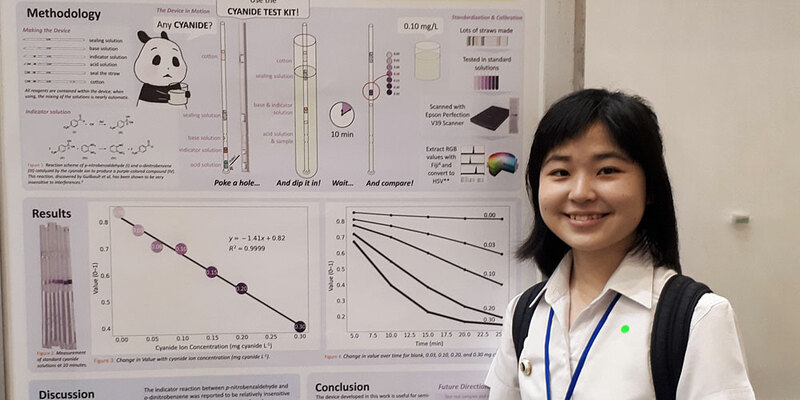 A Chemistry student from Mahidol University International College (MUIC), Ms. Wanutcha Lorpaiboon, won an Outstanding Student Poster Award at the Pure and Applied Chemistry International Conference (PACCON) 2019 held on February 7-8, 2019 at the Bangkok International Trade & Exhibition Centre (BITEC). a faculty member of MUIC’s Science Division. PACCON 2019 which has the theme “Together for the Benefit of Mankind,” was hosted by the Faculty of Science, Mahidol University, and the Chemical Society of Thailand under the Patronage of Prof. Dr. Her Royal Highness Princess Chulabhorn Mahidol. The conference brought together thousands of participants and invited speakers across Asia and other parts of the world, giving them the opportunity to share knowledge of recent advances in chemistry and related fields. The conference included oral and poster presentations from a Nobel Laureate and a number of eminent scientists, including well-known chemists.